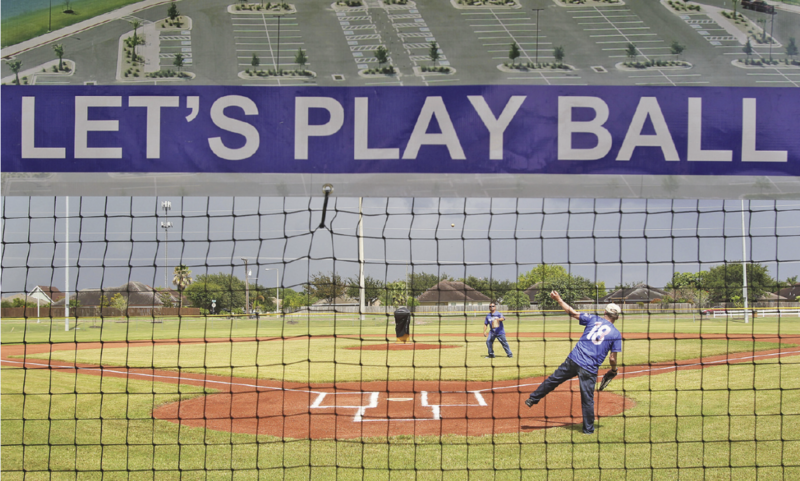 McALLEN — After countless delays over five years and endless city hall frustrations, McAllen leaders had barely opened its youth baseball complex Tuesday before rain dumped on the northeast McAllen site seconds after Mayor Jim Darling threw the first pitch. After false starts and city commissioner questions, the grand opening wasn’t as grand as officials hoped. But the site opened. Finally. And the feelings of many in the community about the process of getting this complex completed may have been captured by two young boys who made similar statements 17 months apart. In February 2017, at the site’s groundbreaking, an 8-year-old boy grabbed the microphone city officials used to commence the construction. Despite the rain Tuesday, the mayor, City Manager Roel “Roy” Rodriguez and many others christened the complex with a first pitch. “One group I’d like to thank is the taxpayers of McAllen,” Darling said. Those taxpayers OK’d the $15 million bond issue to pay for this complex. 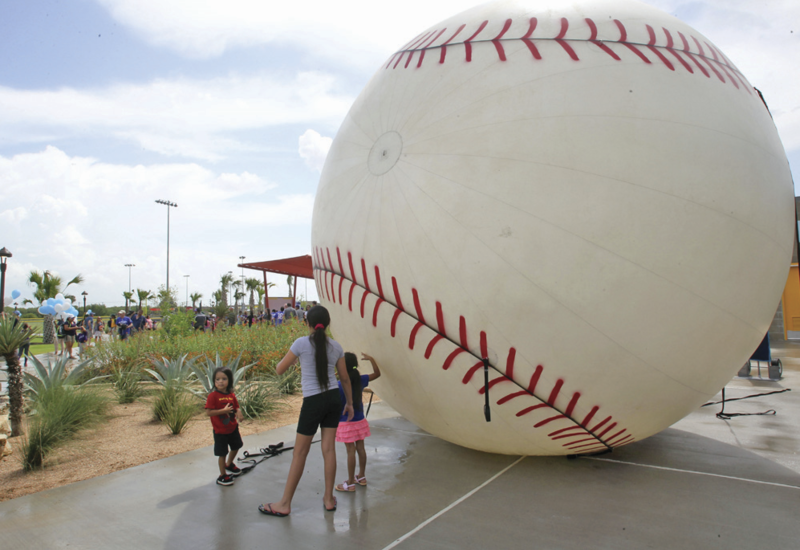 The site features 11 baseball fields and one additional Miracle Field, which complies with Americans with Disabilities Act standards. There is also a concession area in the middle of the complex. The grass and dirt were neatly manicured Tuesday for play on the fields to begin imminently. 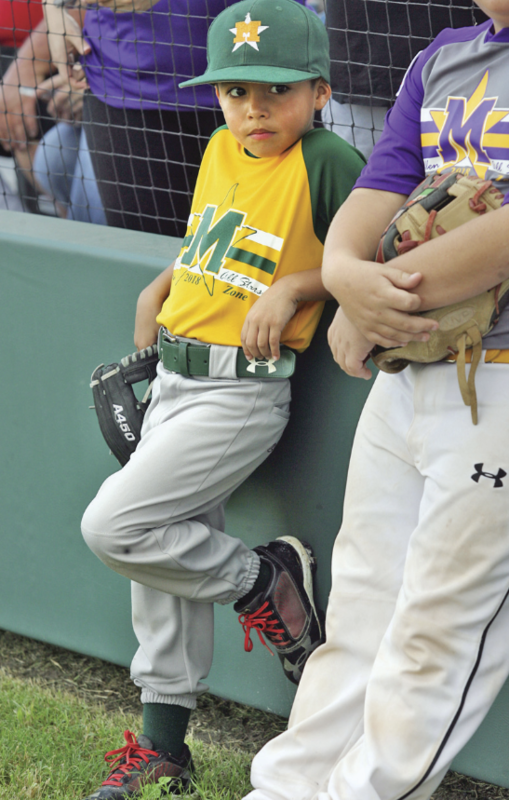 Commissioners, sporting customized baseball shirts with “McAllen” emblazoned on the front, were laughing and in a good mood at Tuesday’s unveiling. But they weren’t always this jovial. Commissioners John Ingram and Veronica Whitacre grilled leaders from the construction company contracted to build the complex, as well as Parks and Recreation Director Mike Hernandez, at a city commission meeting in September 2016. At that meeting, Hernandez assured commissioners the site would be ready in October 2017. “It’s going to be finished in October 2017?” Whitacre asked during that meeting. Despite the delays, city officials were happy throughout the day. Rodriguez and Hernandez played catch in a hallway at city hall Tuesday morning. Hernandez crouched in a catcher’s position with a glove and Rodriguez tossed him a couple pitches.